Ever since KOSTAL was founded in 1912, we have pursued innovation combined with uncompromising quality. Through this approach we have come a long way in the last hundred years. Today we are one of the world's leading suppliers of complex electronic and mechatronic products for industrial and automotive applications. We are especially proud that we are still a sound, self-financed, owner-managed family business. Today more than ever, we are a family – a family with over 18 000 members worldwide putting our values into practice. We are the KOSTAL Group, a global, independent family-owned company based in Germany which develops and manufactures technologically complex electronic and mechatronic products. We employ more than 18 000 people at 46 locations in 21 countries, offering flexible, knowledgeable and customer-focused service. KOSTAL Holding is responsible for central activities affecting all organisations in the group, such as controlling, finance, purchasing, organisation, IT and Human Resources. The division KOSTAL Automotive Electrical Systems is responsible for the development, production and distribution of components, modules and systems for the electrical, electronic and mechatronic technology in car bodies. KOSTAL Industrie Elektrik GmbH, the industrial electronics division, develops innovative products for renewable energy generation and efficient energy use. KOSTAL Solar Electric GmbH is our international sales company for solar inverters and storage systems of KOSTAL´s PIKO brand, which allows power from photovoltaic systems to be intelligently used. KOSTAL Kontakt Systeme GmbH operates all over the world to develop, manufacture and distribute innovative connector systems for automotive and industrial applications. SOMA GmbH develops, manufactures and distributes test and automation systems for specific industries and products. 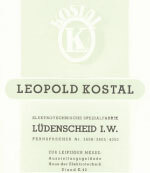 Leopold Kostal founds the company, beginning with the production of installation material. 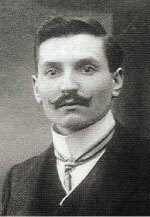 Leopold Kostal develops the turn indicator for automobiles, beginning the company's move into automotive electrical systems. Kurt Kostal joins the company. The focus shifts to the development and production of components for the automotive industry. Helmut Kostal joins the company and founds KOSTAL Mexico. 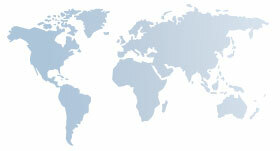 Subsidiaries are established in the USA, Ireland, Spain, the United Kingdom and Japan. 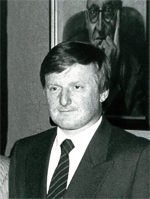 Founding of the business divisions Automotive Electrical Systems, Industrial Electronics and Test Technology (SOMA GmbH) and founding of KOSTAL China, KOSTAL Italy and KOSTAL Czech Republic. Founding of KOSTAL South Korea, KOSTAL Solar Electric, KOSTAL Ukraine and a joint venture with NTTF in India. 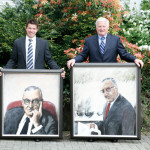 In 2010 the baton of responsibility is passed on to Andreas Kostal, the fourth generation of the founding family. 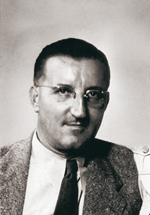 KOSTAL celebrates its 100th anniversary.